Chip and Joanna Gaines reveal new vacation rental home in Waco — see the pics! 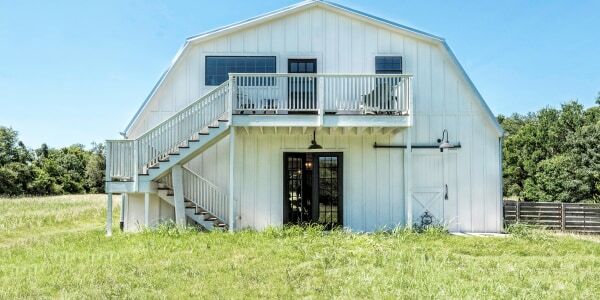 Are you ready to spend a weekend in Chip and Joanna Gaines' new vacation rental? The "Fixer Upper" stars have revealed pics of their latest project, a stately Classical Revival home in Waco, Texas, with an announcement letting fans know it will be available this autumn. "We are now opening another vacation rental! Chip and I had so much fun restoring this old Waco icon and cannot wait to welcome guests starting this fall," Joanna wrote next to a photo of the home, which they purchased in 2016. "This house dates back to 1903 and we definitely kept its old world charm — our hope is that friends and families from all over can make lasting memories here during their visit to Waco," she added. Details about renting the 4,831-square-foot Southern beauty — which the HGTV decorating duo christened Hillcrest Estate — will be made first available to Magnolia Market newsletter subscribers. But one thing's for sure, Hillcrest Estate can accommodate a pretty big group — according to the couple's Magnolia Market website, the home sleeps 12 comfortably. When the couple purchased Hillcrest Estate last year, the home already boasted gleaming hardwood floors, a fireplace and two relaxing porches for sipping tea on summer days. Now, it's looking even more stylish after the Gaines' magic touch. Who's ready to rent this beauty?